The light aircraft carrying Cardiff City's £15m January signing disappeared nearly two weeks ago as he was flying to Wales to meet up with his new teammates, when the plane taking him and pilot David Ibbotson lost contract with air traffic control. ​Dorset Police have now confirmed that a coroner has officially identified the body as the former Nantes striker. Following the announcement, ​Cardiff City released a short message relaying Dorset Police's statement, while adding: "We offer our most heartfelt sympathies and condolences to the family of Emiliano. He and David will forever remain in our thoughts. #CityAsOne"
Reports claim that the Argentine footballer's remains will be handed over to his family to allow them to arrange a burial as soon as possible. On Friday morning, the world of football expressed its condolences, with Nantes revealing that they will retire the number nine shirt at the club in his memory. La @LFPfr a appris hier soir avec une immense tristesse le décès d’Emiliano Sala. A l’occasion de la 24e journée de @Ligue1Conforama et de @DominosLigue2, une minute d’applaudissement sera observée sur tous les terrains. ​​Sala's sister, Romina, also posted a message on Instagram, the caption for which reads: "Your soul in my soul it will shine forever thus illuminating the time of my existence. I love you, tito." As a player Sala spent most of his career in France, appearing for Bordeaux, Orleans, Niort, Caen and Nantes. The 28-year-old was enjoying one of his best ever goalscoring seasons in 2018/19 and had hit 12 goals in 19 games for Nantes in Ligue 1 before completing a £15m transfer to Cardiff City. It has been reported that Sala turned down an offer from the Chinese Super League in order to join the Premier League side. 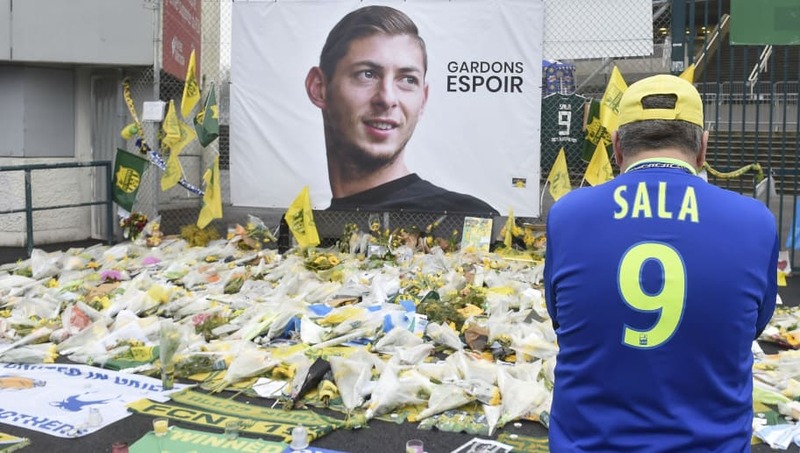 All Ligue 1 and 2 games will hold a minute's applause before kickoff this weekend in tribute to Sala. "Tonight and during the whole weekend, we will all be united in paying a last tribute to Emiliano before the matches kick off," Ligue de Football Professionnel President Nathalie Boy de la Tour said in a ​​statement.